Immigrant communities in Philadelphia and nationally reacted with outrage today as the Department of Homeland Security announced that former Mayor Nutter would be named to the DHS advisory committee. Americans traditionally treat Independence Day as an observance of the country’s hard-won freedom and liberties. 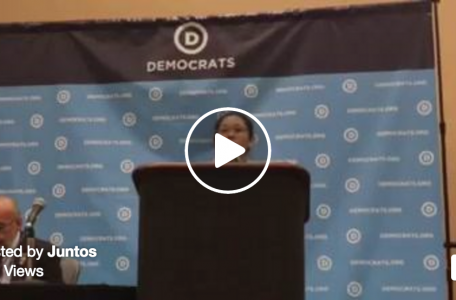 But activists point out that for undocumented immigrants in the U.S., there’s nothing to celebrate this Fourth of July. 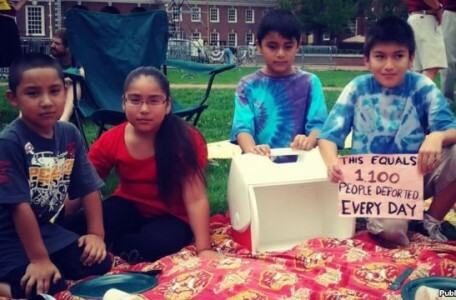 Members of New Sanctuary Movement of Philadelphia, an interfaith immigrants rights coalition, will on Wednesday host an “un-barbecue” at the Liberty Bell, with empty grills, plates and picnic baskets symbolizing the lack of freedom faced by the city’s immigrants. 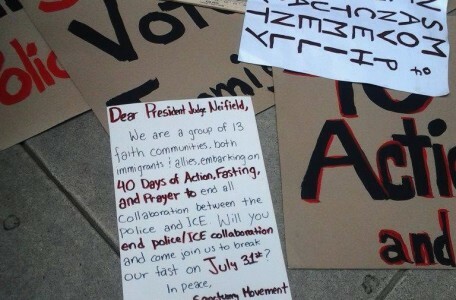 Seventy-five people representing 13 faith communities on June 22 kicked off a 40-day campaign of fasting and prayer, calling for an end to local deportation policies and for federal movement on humane immigration reform. The interfaith immigrant rights group the New Sanctuary Movement staged a so-called “un-barbecue” on Wednesday, setting up empty plates, picnic baskets and grills around the iconic Liberty Bell to draw attention to the freedoms that aren’t shared with undocumented immigrants in the U.S.
“It’s no picnic for the immigrant community in this country. They’re still lacking that liberty and justice,” said Peter Pedemonti, director of the New Sanctuary Movement and one of dozens of activists fasting for 40 days in the name of immigration reform. Since 2008, the City of Philadelphia has granted ICE access to its police database, allowing ICE officials to search for individuals by country of origin in order to target foreign-born individuals. 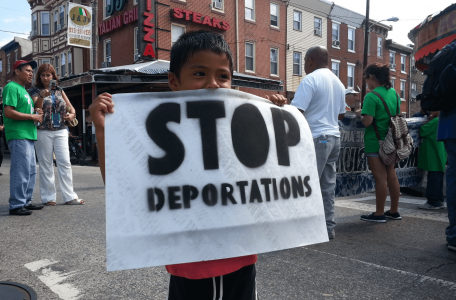 On June 22, over 65 immigrants, allies, and religious leaders and 13 faith communities in Philadelphia began “40 Days of Fasting, Action, and Prayer” to demand an end to the collaboration between the Philadelphia Police Department and Immigration and Customs Enforcement (ICE).